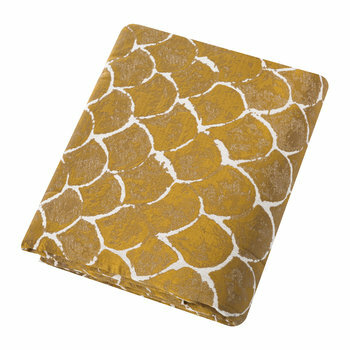 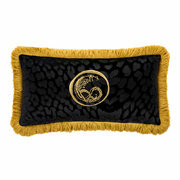 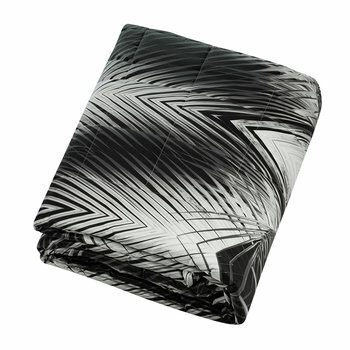 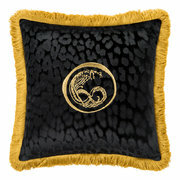 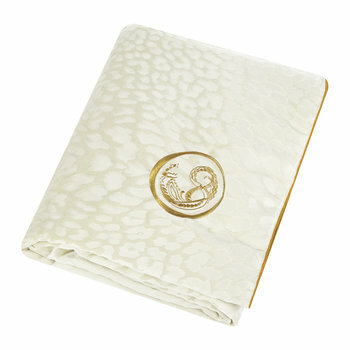 Add a dash of indulgence to the bedroom with this Sigillo throw from Roberto Cavalli. 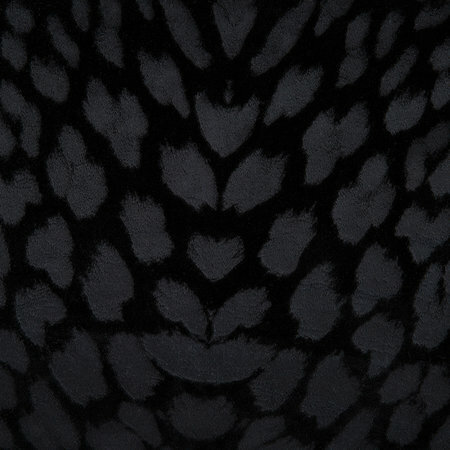 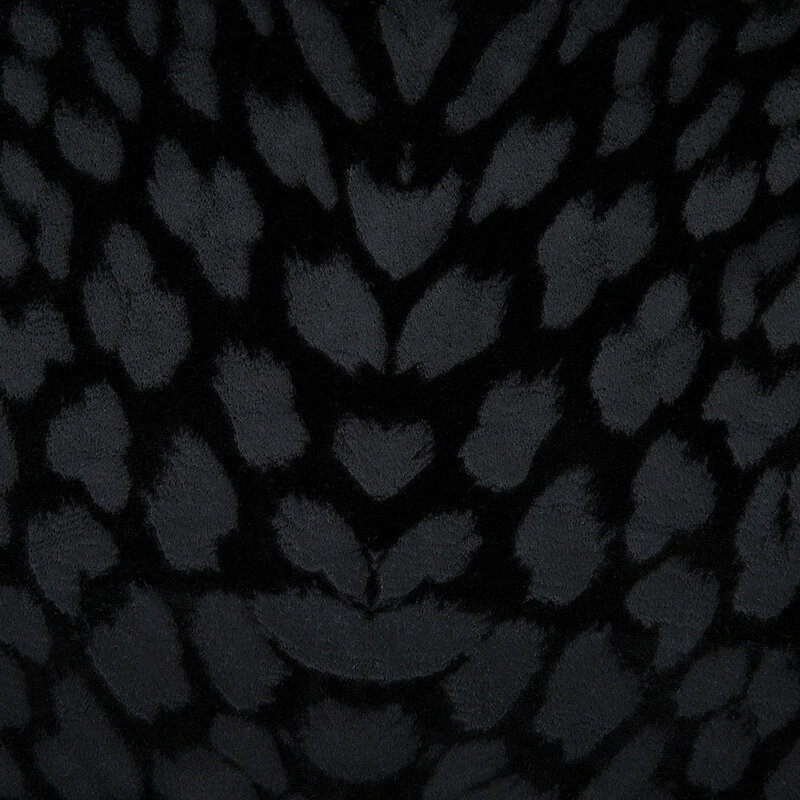 With a decadently soft velvet texture, this throw has a leopard print design with the signature Robert Cavalli emblem in the centre in a golden hue. 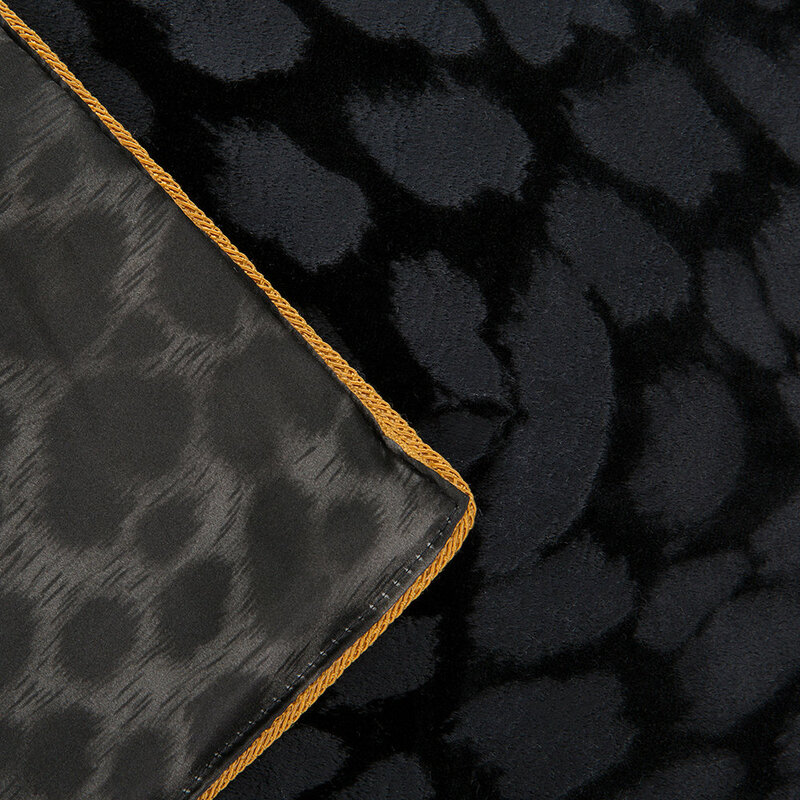 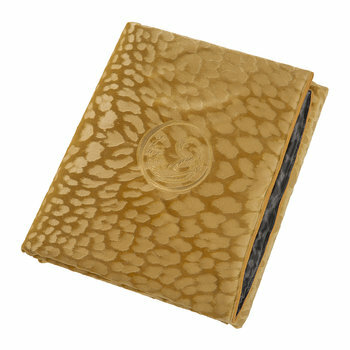 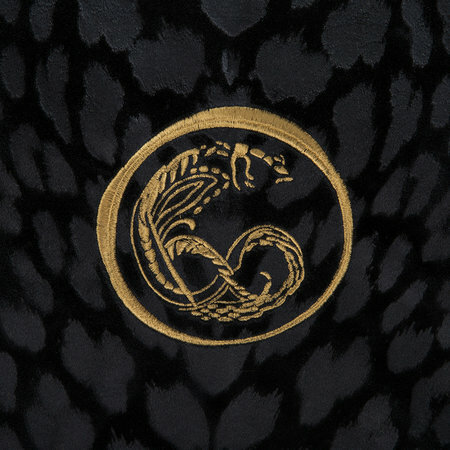 Edged with a rich golden rope piping, it reverses to a matching leopard print design in grey silk.